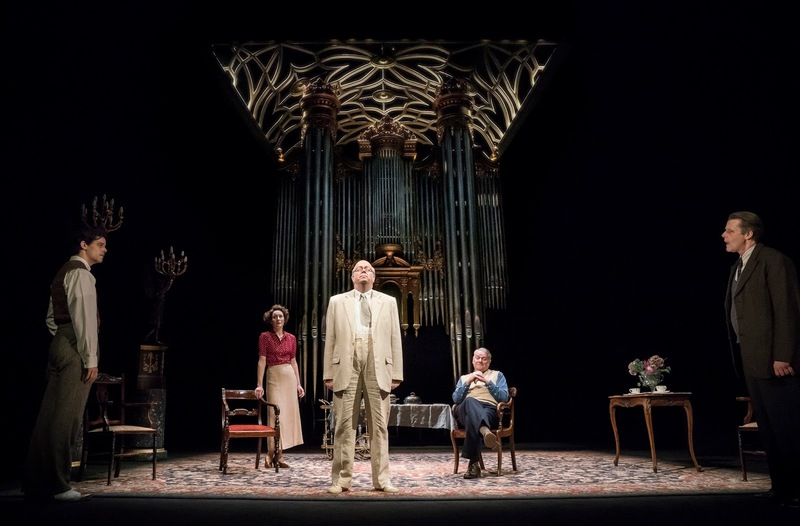 Born in St. Leonards-on-Sea, David Hare returns to East Sussex to focus his theatrical chops on that most English of institutions the Glyndebourne Festival, with his play The Moderate Soprano which opened at the Duke of York's Theatre, directed by Jeremy Herrin, on 12 April 2018. 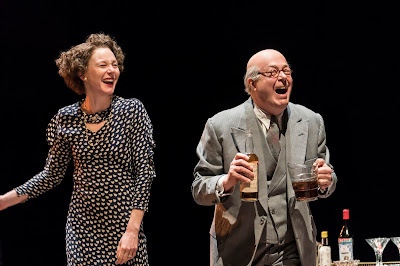 Nancy Carroll plays the eponymous soprano with Roger Allam as the romantic late starter John Christie. Anthony Calf, Jacob Fortune-Lloyd and Paul Jesson are the three political exiles Ebert, Bing and "waving the baguette" Busch. Whilst Jade Williams holds the fort as the uncomplaining Jane Smith. On the face of it, Glyndebourne should be easy pickings for David Hare a connoisseur of the minute dissections of our public institutions. There’s a public inclination to hate people who go to the opera and Glyndebourne with its rich patrons, manicured lawns and champagne fuels the suspicion that anyway opera is really just a side-show for dilettante toffs. Why should we care? Hare has an answer. What we get is a celebration, warts and all, not just of love but of collaborative endeavour and the pursuit of excellence. It was a chance, Christie said, to put something back. Roger Allam was pitch perfect as the patrician captain who adored Wagner and got Mozart. His bone-dry delivery captured the eccentric zeal, his paternal and patrician ways that, whilst efficient, sometimes smacked of a willful lack of social grace. Despite knowing very little of the business of opera and its exemplars Christie was nurtured and guided by his anything but moderate wife Audrey Mildmay. Nancy Carroll’s Audrey is a picture of refinement and diplomacy, devoting her considerable talents to her husband's grand plans and compromising her own career in the process. The scenes of Audrey’s later years of illness and self-doubt were achingly poignant. 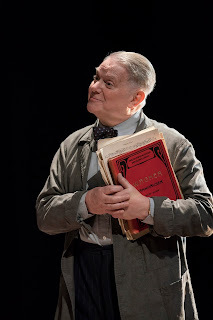 Jacob Fortune-Lloyd as Bing showed us the charm and nous that would ultimately take him to the Metropolitan Opera whilst Anthony Calf and Paul Jesson as Ebert and Busch, despite their sobering exile, show the steely single-mindedness required to nurture a particular artistic vision. So despite Glyndebourne’s carapace of eccentric Englishness, it took an adoring wife and an unlikely melange of musical talent to produce something noble and enduring. A jewel of artistic vision. And yes, we should care. As the Observer opined in 1934, “this is the first time in this generation, and probably much longer, that opera has been done right under English Management”. And for that supreme example of European cooperation we should be heartily grateful. The Moderate Soprano is at the Duke of York's Theatre until 30 June 2018.